If you're a teenager applying for your first driver's license, you'll need to complete Driver's Ed as part of the Hawaii Department of Transportation's (DOT) graduated licensing program (GLP). Driver's Ed, along with the steps of the graduated licensing program, will not only help you pass your Hawaii DMV tests, but they will also help you become a smart, safe, and responsible driver. You'll be exposed to lessons about safe and defensive driving techniques that you'll be able to put to practice when you get behind the wheel with a licensed supervisor and by yourself. 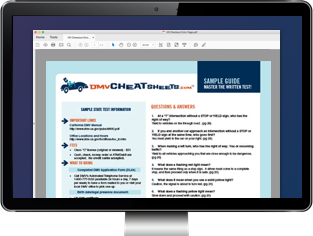 On this page, you'll find information about enrolling in a HI driver's education course and the next steps you'll need to take to get your unrestricted driver's license and satisfy the Hawaii DMV licensing requirements. The GLP and driver's education requirements are necessary for new Hawaii drivers younger than 18 years old. To enroll in a Driver's Ed course in Hawaii, you must first obtain your Hawaii learner's permit. To get your permit, you must be at least 15 1/2 years old. For more information about obtaining your permit, please see our Drivers Permits in Hawaii page. Driver's Ed and the practice you'll receive during supervised driving with your learner's permit will help you pass the DMV road test and get your Hawaii driver's license when you turn 17 years old. Driver's education programs are offered by Hawaii public schools and approved professional driver training schools. NOTE: At this time, the Hawaii DMV DOES NOT ACCEPT online driver's education. However, an online course can help prepare you for your tests and instill good driving habits. For information about approved driver's education programs near you, contact the HI DOT Driver Education program at (808) 587-5687. When you find a program that is right for you, contact your Driver's Ed provider for details about schedules and costs. You'll receive a completion certificate upon satisfying both the classroom and behind-the-wheel components of your course. Hold your learner's permit for at least 180 days. Practice driving with a licensed driver who is at least 21 years old. Wait until you are at least 16 years old to schedule and take your DMV road test. Whenever you visit a Hawaii DMV office, be prepared to present proof of your identity, legal presence, Social Security number, and Hawaii residency.